Jhonen Vasquez is a writer and artist who walks in many worlds, not unlike Blade, only without having to drink blood-serum to survive the curse that is also his greatest power (still talking about Blade here). 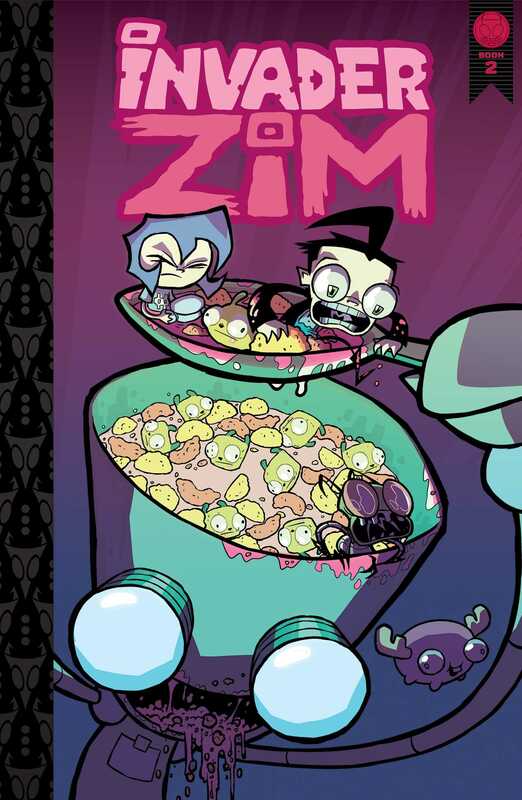 He’s worked in comics and animation and is the creator of Invader ZIM, a fact that haunts him to this day. Aaron Alexovich’s first professional art job was drawing deformed children for Nickelodeon’s Invader ZIM. Since then he’s been deforming children for various animation and comic projects, including Avatar: The Last Airbender, Randy Cunningham: 9th Grade Ninja, Disney’s Haunted Mansion, Fables, Kimmie66, ELDRITCH! (with art by Drew Rausch) and three volumes of his own beloved horror/comedy witch comic dealie, Serenity Rose. Katy Farina is a comic artist and illustrator based in Los Angeles, CA. She's currently a background painter at Dreamworks TV. In the past, she's done work with Boom! Studios, Oni Press, and Z2 Publishing. In the rare instance she isn't working on comics, she moonlights as the Baba Yaga; enticing local youth into ethical dilemmas and scooting around in her chicken-legged hut.